Start How are Earthquakes Measured? 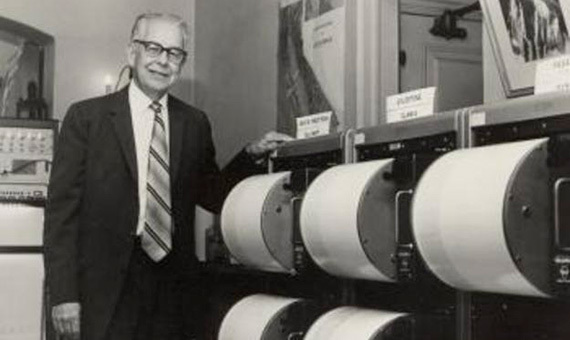 In the 1930s, American seismologist Charles Francis Richter (26 April 1900 – 30 September 1985) of the California Institute of Technology (Caltech) set out to solve an unsettled question in the study of earthquakes—how to compare them according to a standardized method? The Mercalli intensity scale, used at that time, was governed by the levels of destruction observed after an earthquake. It was useful as a crude approach, but subjective and of little scientific value. Richter thought of using the amplitude values ​​of seismic movements recorded by the seismograph pen on paper. This was based on a 1928 work by the Japanese seismologist Kiyoo Wadati, who had represented the oscillations in relation to the distance to the epicentre (the point of the surface directly above the focus of the earthquake). Inspired by the scale of magnitudes used by astronomers to determine the apparent brightness of stars from Earth, Richter set a minimum base value to which the maximum amplitudes of each earthquake would refer, thus giving a value of magnitude to each quake. But a problem arose. When comparing the different values ​​to the reference point, the difference in the proportions between strong and weak earthquakes was so vast that it was impracticable to place them on the same linear scale. Help came from his colleague and mentor at Caltech, Beno Gutenberg, who proposed converting the linear table into a base-10 logarithmic scale. For Richter, the logarithmic scales were “a device of the devil,” but it worked—the system allowed all earthquakes to be placed on the same scale, bearing in mind that an increase of one integer meant multiplying the violence of the earthquake tenfold. The Richter and Gutenberg scale, developed in 1935 and originally called the Local Magnitude scale (ML), served for decades as the standard for rating the power of earthquakes. But it has obvious limitations, since it was based on the primitive seismographs of the time. The various models responded differently to the same tremor and could only register nearby movements. Logically, the oscillations of the pen were also greater or smaller according to the proximity of the seismographic station to the epicentre. To set standards, Richter chose a particular model of seismograph, the Wood-Anderson torsion, and a concrete distance to the epicentre as a reference, 100 kilometres. 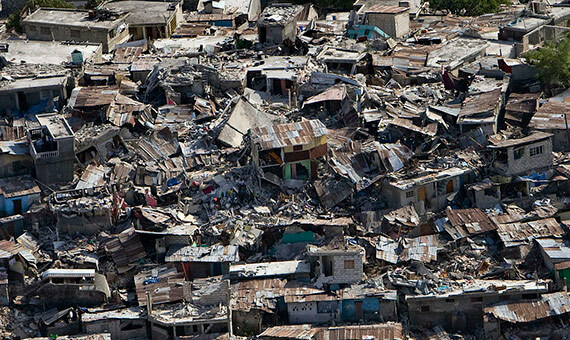 But even with this, earthquakes are transmitted in different ways depending on the ground. According to what seismologist Mitch Withers of the Center for Earthquake Research and Information (CERI) at the University of Memphis, USA tells OpenMind, “Local magnitude was developed by Charles Richter for southern California. Technically it only applies there.” However, Withers adds that conversions can be applied for other locations and for more modern types of seismometers. With the passing of the years and the development of new measurement and computational techniques, seismologists began to look for a new system that could express a more objective physical parameter: the energy released by the earthquake. Thus, in the 1970s, the Moment Magnitude (MW) scale was introduced, based on the seismic moment defined in 1966 by Keiiti Aki of the Massachusetts Institute of Technology, which takes into account the tension, deformation and displacement of the rocks in the fault. Although the seismic moment does not directly measure the energy, it can be estimated by other parameters included in the calculation. As in the Richter scale, an increase of one digit of magnitude corresponds to an amount of energy released that is greater by a factor of ten raised to 1.5, or about 32 times greater. So, has the Richter scale been abandoned? Not entirely—the problem with the moment magnitude scale is that it is not always known. 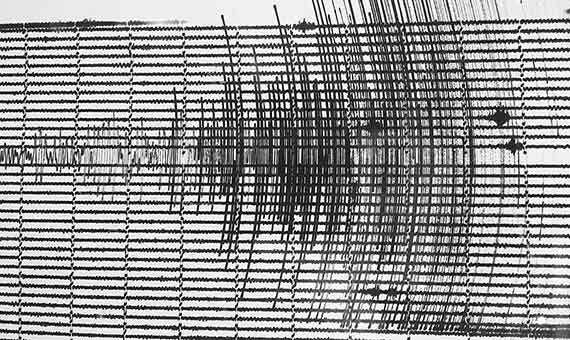 According to what seismologist José J. Martínez Díaz, from the Complutense University of Madrid, explains to OpenMind, “it is very difficult to calculate the seismic moment of small earthquakes.” For these cases, the measurements of the seismographs near the epicentre are used, and therefore the values ​​are recorded on scales such as Richter or other variations. In practice, this means that nowadays the Richter and similar scales continue to be used only for the weakest earthquakes, around a maximum value of magnitude 4, which are also the most frequent. In this range, Withers points out, “the various measures are perfectly valid estimates of magnitude.” In contrast, for large and distant earthquakes, the dominant standard is the MW scale. But since the information in the generic media only covers the most powerful and devastating tremors, the consequence of the above is that, in general, none of the newsworthy earthquakes is measured with the Richter scale. Global monitoring entities such as the US Geological Survey measure these large earthquakes in Moment Magnitude MW. This is why Martínez Díaz, like other seismologists, chooses to call the Richter scale “obsolete.” “In the scientific world it is not used,” he adds. And yet, in the news from the media it is common to continue finding references to the Richter scale in cases in which it does not apply. To avoid falling into this error, without the risk of incurring others, the recommendation of the experts is clear—both Withers and Martínez Díaz advise the media and the general public not to mention the Richter scale, nor go into more detail on the measurement system used in each earthquake. “I think it’s best to just say magnitude and let seismologists debate which measure is preferable,” concludes Withers. Earthquakes: How Frequent are They?